A recent AutoWeek article showcases another 780 that met its demise in a pull yard in California. Finding a 780 in a pull your own parts scrap or junk yard is rare for sure, but not unheard of. 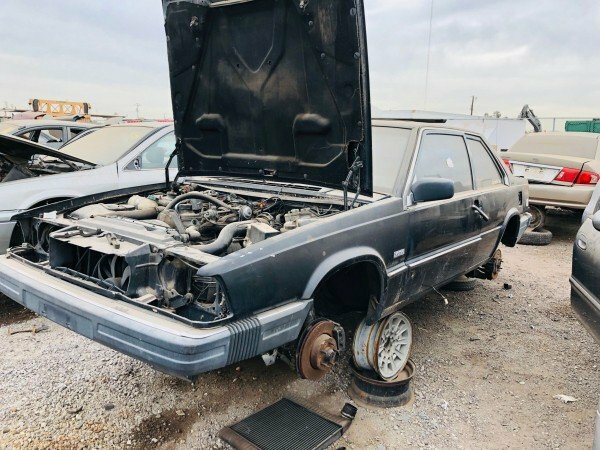 What is sad it that they ended up there because someone figured that the car is only worth $150 -$250 dollars for the scrap value, at least in the USA. And there is increased pressure by government regulators to get these cars off the road as they are not deemed environmentally friendly, given their 30 year old emissions systems, so there isn’t much incentive by the average owner to try and make needed repairs. So often the problems that ultimately cause some system on the 780 to stop working are easy for a Volvo aficionado to repair. Imagine in 10 years how even harder it will be to source parts. While 780 parts might not ever be as rare as a P1900 door or hood, 780s are not very likely to see third parties remanufacturing the parts, at least for those that are unique and not shared by their 740/760 cousins. So saving the cars and parts is important. So “Save the 780 from the Crusher!” Should we get shirts printed up?